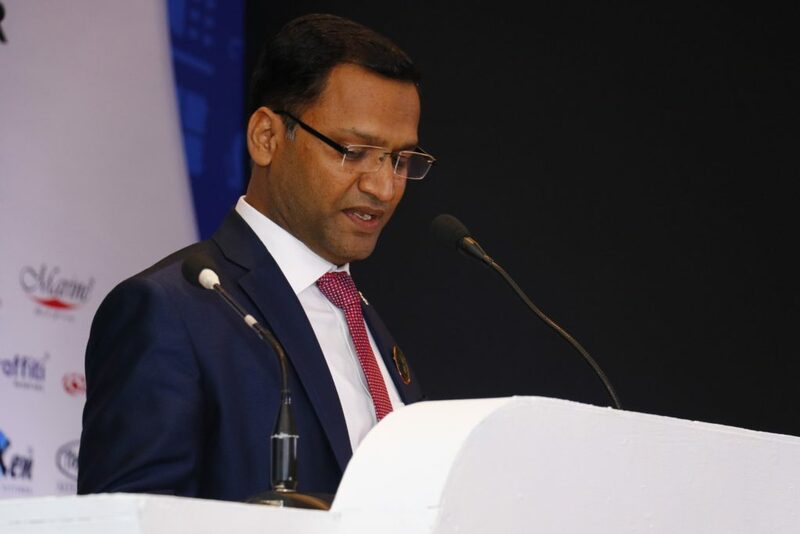 IBMA president Ajit Garg, who is also its founding member, wants to make small bath fitting manufacturers organised enough so that they can face up to Indian corporates and multinationals of the industry. De-reservation of the bath fittings industry has opened up floodgates of competition for us, since now large Indian corporates as well as multi-national companies can be a part of this sector. Not only has this increased competition, it has made it more challenging for the unorganised lot. In 2013 we took it upon ourselves to form an association, educate our members on key policy issues, and steadily graduate from unorganised to being organised. In terms of number of units, approximately 85% of the bath fittings industry is unorganised. One of the greatest challenges before us is how to become organised; transforming family-run operations into professional managed ones is indeed challenging. I must say that the efforts of the team, over the last five years, are bearing fruits and we are now an association of 200 members. My aim, this year, is to take this number to 300. At present most of the members are from around Delhi-NCR, and the rest from other northern cities including Jalandhar, Chandigarh and Mathura. We need to add members from other parts of the country and only then can we say that we are an association with a national perspective. While this will take time, we have our task cut out. One area where we have been channelising our efforts is setting up a dedicated industrial park for the bath fittings industry. We have been in talks with HSIIDC and have submitted a project report along with a letter of intent. HSIIDC has been very co-operative and has promised to allot us land at Kharkhoda in Haryana’s Sonipat district. Once a bathroom fittings cluster comes up, it will allow component manufacturers, service providers and the finished product manufacturers to be in close proximity. This will be very good for business, as it will result in efficiency and more business for everyone. Other important inputs such as labour, testing and logistics too will be available easily and more economically. We have been assured help from the Ministry of Micro, Small & Medium Enterprises(MSME) as well. Once the land is allotted we are hopeful that many operational benefits will flow to our members,such as institutional credit, financial support for technology up-gradation and product development, training facilities for skill up-gradation, design intervention and packaging, and other cluster-wise measures that help in capacity-building. For most manufacturing set ups today, land and building account for approximately 70-80% of total investment in the business venture.At present our industry is scattered, with units mostly operating out of small spaces in different locations. Each of these unis is trying to undertake all the operations such as casting, grinding, polishing, etc, by themselves. This way of doing business increases investment requirement as well as operational costs. Instead, the way forward is specialisation. The idea behind a dedicated industrial park is to bring all units together, popularise vertical integration, focus on specialisation rather than generalisation, and improve efficiency and productivity. I must admit that our industry is also plagued by a skill deficit. Not only is there a huge shortage of trained workforce, there is also a shortage of general workforce. If the demand is for 100 workers, the supply is in the range of 70-80. Add to this the low productivity because of badly skilled workforce. One of our focus areas at IBMA will be the skilling of the workforce. We are in talks with Ministry of MSME for the same; it offers 3-6 month skill development programmes covering various trades including tool & die making, electroplating & powder coating, etc. We hope our efforts will increase the employability and productivity of the workers and provide them a dignified standard of living.